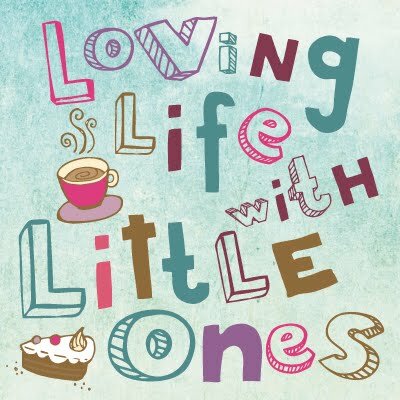 Loving Life with Little Ones: The one with the Lemurs! The one with the Lemurs! While visiting the Isle of Wight we decided to go to the Amazon World Zoo, the Little ones both like animals and we knew we would have a fab day out. We quadrupled our Tesco vouchers for days out deals before we went and so only had to pay a few pounds to get in, bargain. Amazon world is mostly birds, exotics and monkeys, there was a red panda, an anteater and an ocelot as well as a few other species too but you won't find the big animals like tigers, elephants, giraffes etc. We arrived mid morning and followed the route around looking at the birds and monkeys. The little ones liked watching the monkeys for ages and going through all the plastic strips in the doorways but Little 1 wasn't so keen on the animal sound effects playing in the background in one part, she kept wanting a cuddle thinking there were animals all around her! We didn't tell her that there were free flying birds above us as we went through quickly! At lunchtime we went back to the car for our picnic, there was a huge grass area with plenty of picnic tables by the car park and a huge adventure play area with a dinosaur theme. There was also a bit for the younger ones too. We ate and played there for an hour before the girls had had enough and were ready to see some more animals. Don't help me, I can do it myself. We continued to look around and had some fun chasing and hiding from each other in the tropical house areas. The girls liked spotting the animals in the plants around the sides and looking at the fish in the ponds as we passed. Little 1 seemed to have got used to the idea that the animals were around her. We ventured into the Lemur enclosure, it is one of those walk through ones where you are actually in with them. You are not allowed to touch them but they were happy to sit on the path and fence as people walked around. Little 1 wanted her picture taken with them and got quite close for her as she can be quite nervous. As we came around towards the exit there was a group of lemurs sat on the path in our way, Little 2 being nearest them and quite close to the floor got a bit scared. Daddy knelt down next to her to say that she didn't need to be scared and that they wouldn't hurt her. Then one of the lemurs climbed onto his knee! The keeper told him just to sit still and not touch them and he would get down, but he was obviously comfortable and didn't want to move (the lemur that is not Daddy). Another climbed on and a third climbed the fence and leapt onto his shoulder. They stayed there for a good few minutes until Daddy was told by the keeper to stand up slowly so they would get off. That was an experience he wasn't expecting. Daddy said they tickled his neck as the fur was really soft. We had a good day at Amazon world looking at all the animals and certainly give the play area a big thumbs up too. The Little ones had some spending money left from their grandparents and so each chose a small cuddly animal from the shop. Little 1 chose a pink flamingo who she named Rosie after her friend at pre-school and Little 2 opted for a crocodile she called Crocky. Little 2 seems to have a thing for crocodiles, I have noticed that in shops like that she always makes a bee line for the crocodile toys. Two happy girls slept in the car on the way back to our cottage and then straight off to sleep that night too, they must have been tired! Yay - I'm a pink flamingo!! We love lemurs and when the boyys were very little we went to a similar zoo here in France with a walk through lemur enclosure. The signs siad don't touch but like with you they got very close to us and rubbed around our legs. So soft. B was only just starting to talk and much to our surprise after Mama and Dada, Leeeeemur was his next word! That looks and sounds like a lovely day out. Lovely photos and daddy was lucky to get that Lemur experience. Looks like a fun day out! My two love animals and huge play areas - a perfect day! Black cab drivers do not accept tampons! Fun on a ferry crossing. Ruling the roost- a change to come?